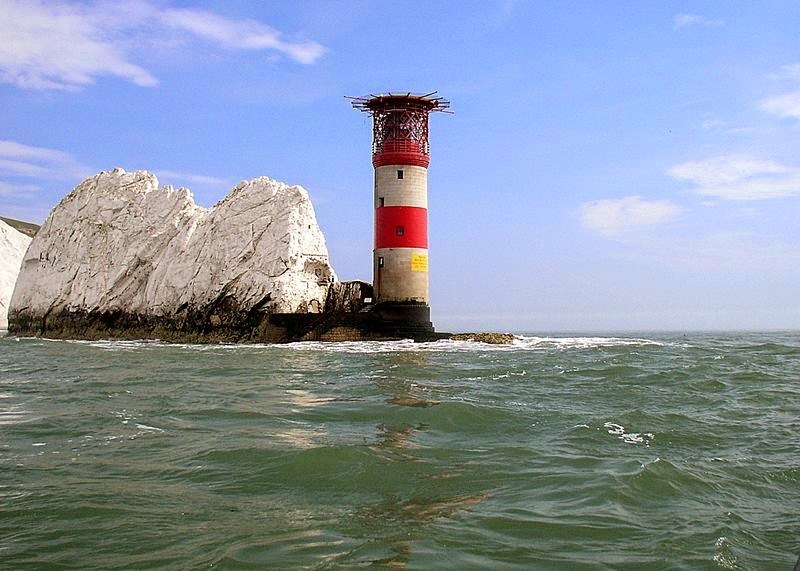 Needles lighthouse was built in 1859 under the leadership of a private organization "Trinity House", obeying the Royal Charter of the United Kingdom. 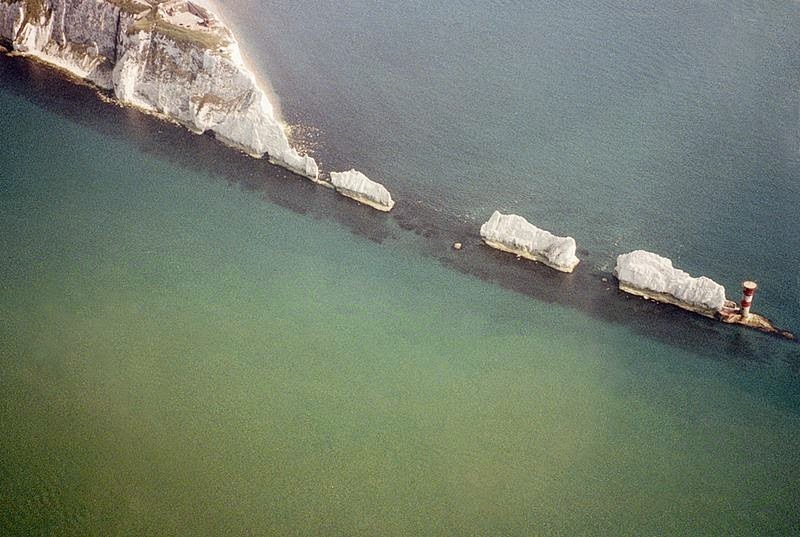 The project is based on the ideas of the famous Scottish civil engineer James Walker. 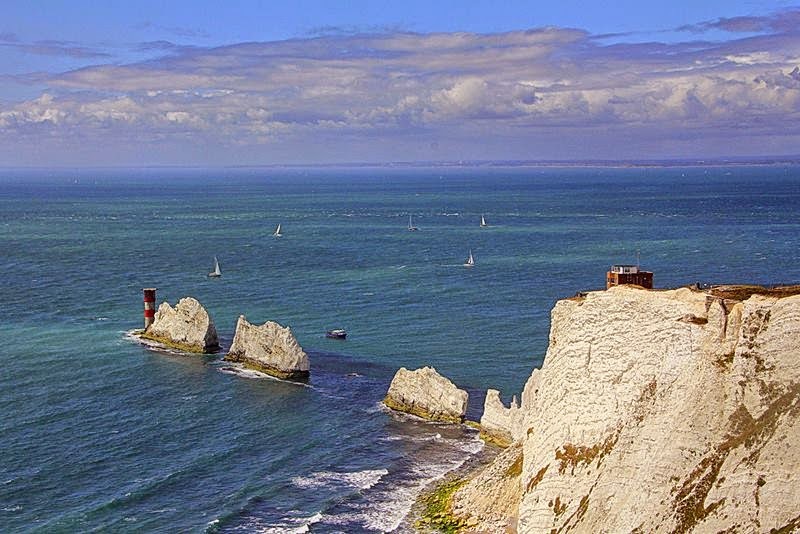 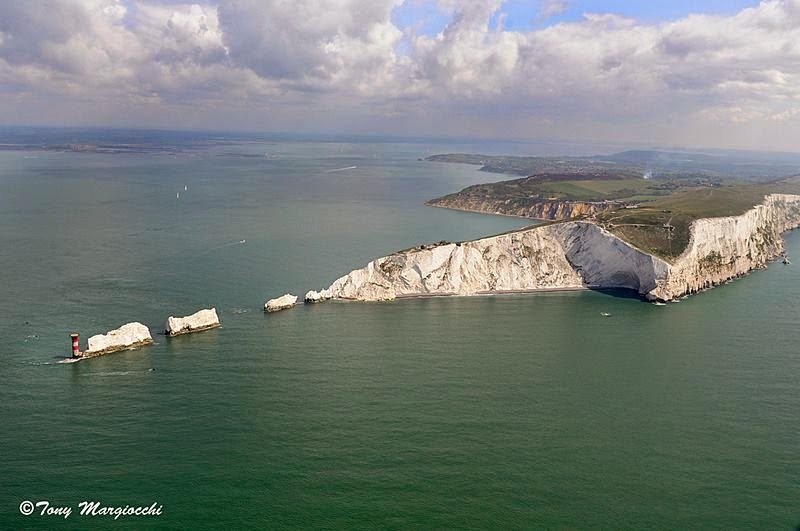 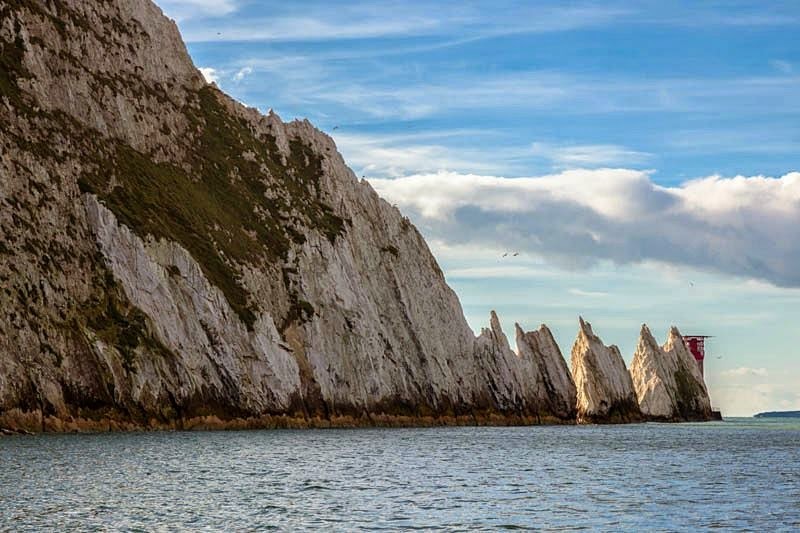 Set in the western approaches to the Isle of Wight, the Needles form a narrow chalky peninsula which rises from jagged rocks to 120m cliffs. 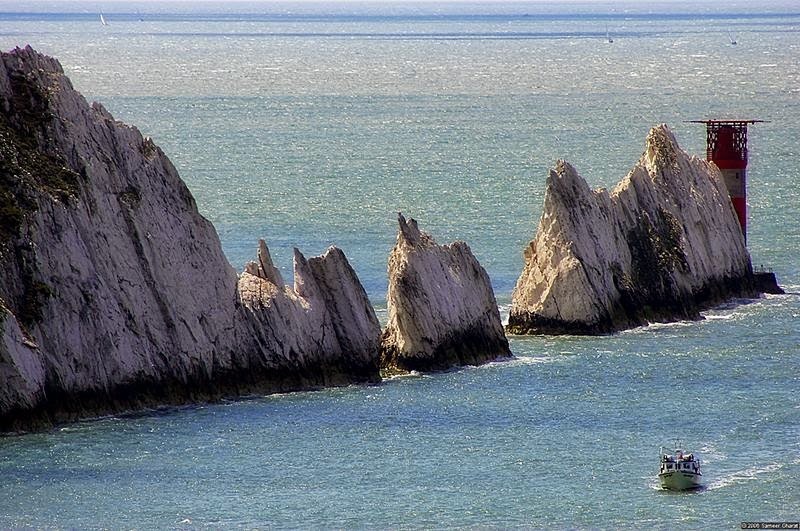 These rocks have always been a hazard to ships making their way up the Solent to Portsmouth and Southampton Water. 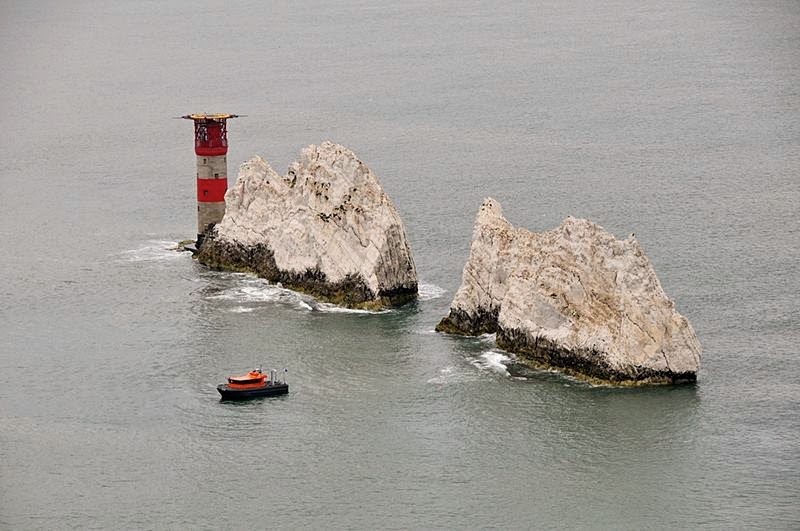 In 1987 a helipad was added to the top of the lighthouse, and it became fully automated when the last keepers left on 8 December 1994. 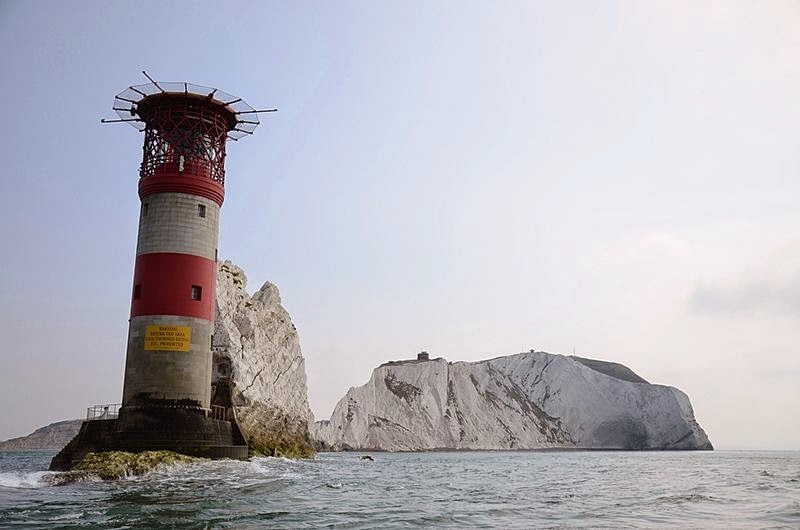 One of the last three remaining manned rock lighthouses in England and Wales, before automation it was staffed by a three man crew operating a 24 hour watch, serving one month on / one month off, living in rudimentary conditions in three levels below the light. 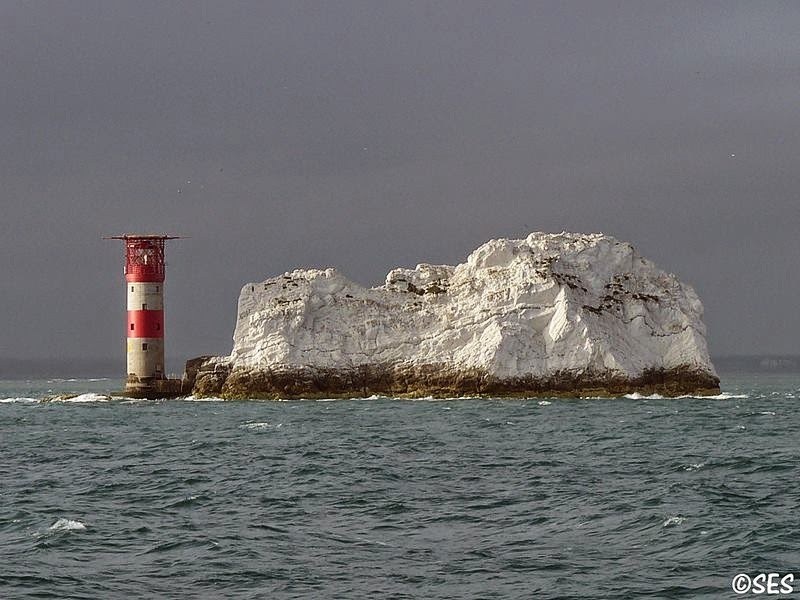 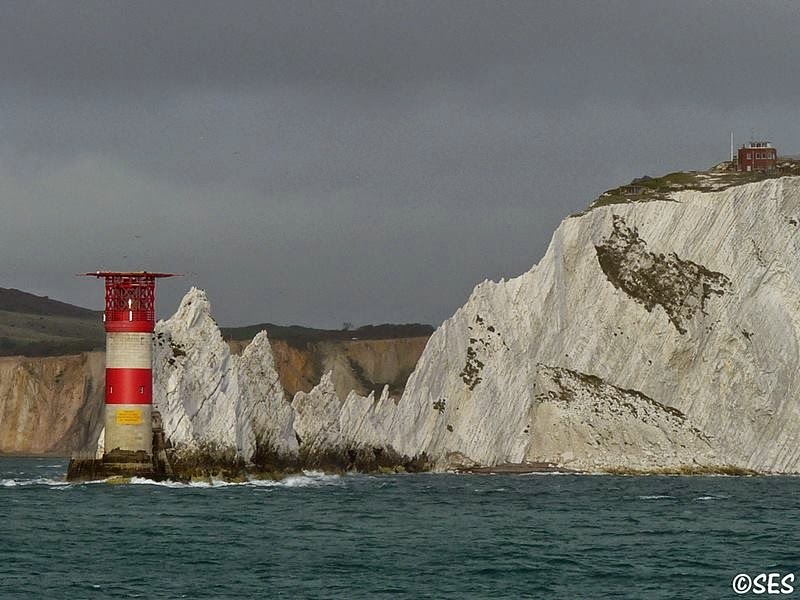 Due to the condition of the chalk strata on which the lighthouse was built, in April 2010 a £500,000 underpinning project was announced, designed to stop the lighthouse falling into the sea. 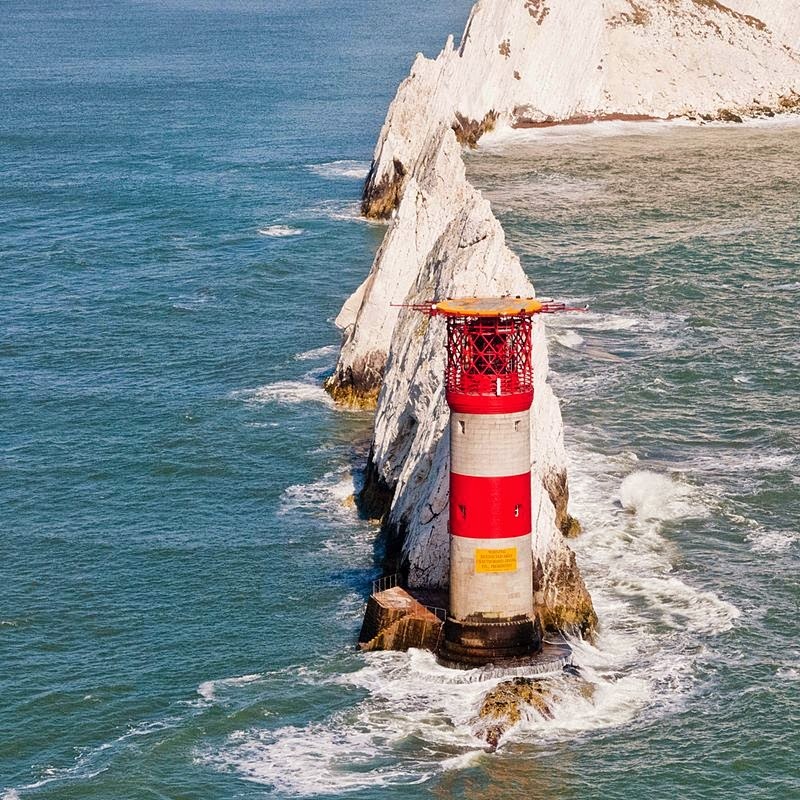 Over a 12 week period from early June, civil marine contractors Nuttall John Martin were due to dig a trench around the base of the lighthouse, install a ring of stabilising posts, and infill it with concrete.